I love simple ideas and when they look great it is just amazing! 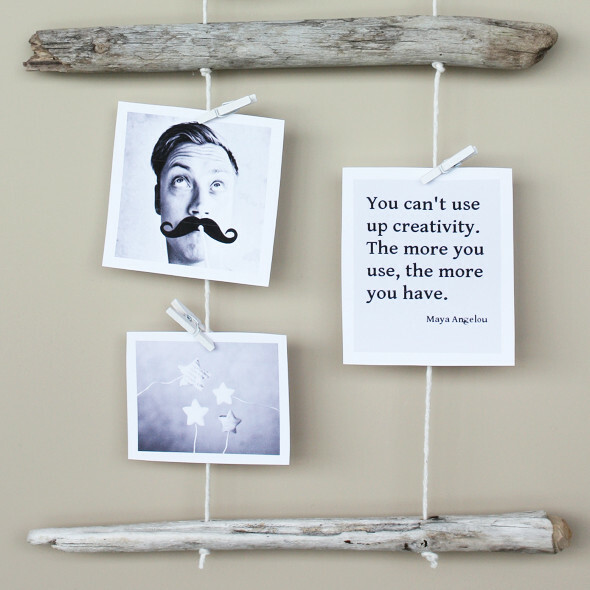 The Norwegian blog Morning Creativity, by Erlend Johansen, came up with this unique driftwood display that can be used as a photo frame but also as a lovely piece of art to showcase special memories. "Everything is open, nothing is set in stone... Rivers turn to ocean, oceans tide you home. Home is where your heart is, but your heart had to roam... Drifting over bridges never to return, watching bridges burn. You will need pieces of driftwood, twine, drill, scissors and pegs. The rest is pretty straight forward, but I suggest you visit Morning Creativity for more decoration tips and tutorials!